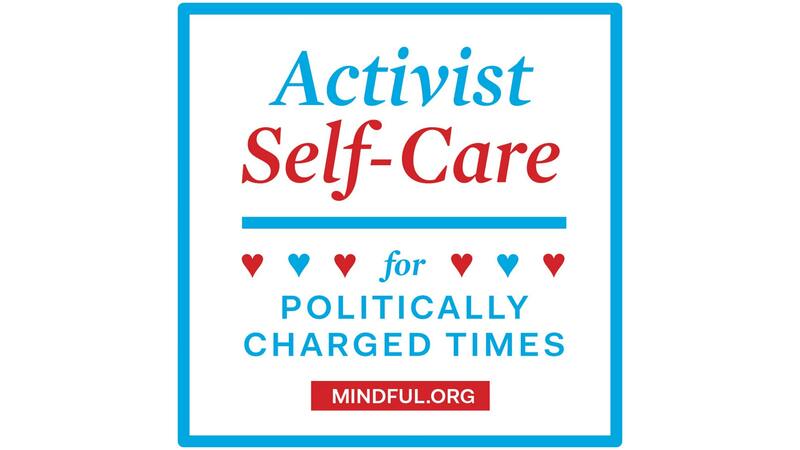 Beginning in January, Mindful will host grass-roots meditation activist Shelly Tygielski for a transformative self-care program called Activist Self-Care For Politically Charged Times. Shelly has taught mindfulness to trauma workers, women’s groups, social justice organizations, schools, athletes, and corporations. Most recently she co-hosted a loving-kindness event with Sharon Salzberg to serve the Parkland school comminuty. As large political and media machines continue to try to divide Americans against each other, we believe that it is important to find ways to support our sense of common humanity, community, and responsibility. Ultimately, together is our only path forward. With self-care we invite you to nourish the core of your being in a way that will help you weather the political storms, communicate and listen with compassion across seeming divides, and help work together towards a better, shared future for all. It’s essential for us to acknowledge the importance of our own self-care and to act upon it. Self-care is a movement of love amidst despair, of kindness in the face of loss as well as victory. It’s declaring yourself as self-deserving of emotional agency. Self-care is not frivolous; self-care is a radical act of love. PRE-REGISTRATION REQUIRED TO GAIN ACCESS TO THE FACEBOOK LIVE GROUP.